Kathleen (Kathy) L. Davis, age 66, of New Lisbon died on Thursday November 8, 2018 at Agrace Hospice Care in Fitchburg, WI, surrounded by her family. Kathy was born on August 19, 1952 in Evanston, IL, to Leonard and Vivian (Barans) Loboy. Kathy was raised in Park Ridge Illinois and was a 1969 graduate of Maine South High School, she then entered Northern Illinois University for 2 years. Kathy was united in marriage to George R. Davis on June 30, 1979 in Park Ridge, IL. While in Illinois Kathy worked as a secretary at the headquarters of a large grocery chain. When her husband was offered a job at Best Power Technologies in Necedah they decided to relocate in the Town of Clearfield in Juneau County Wisconsin in 1995. 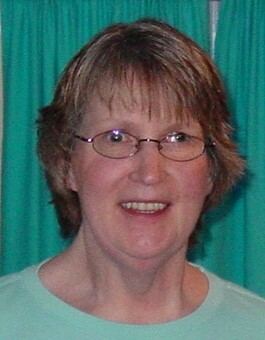 Kathy later worked for 15 years as the Town of Clearfield Clerk. Kathy retired from that job after her illness made it hard to work. Kathy and her family have many fond memories of years of camping in northern Minnesota, where she listened to the loons. 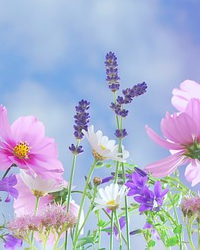 Before her illness Kathy loved to garden and landscape their yard with beautiful flowers. She was an avid reader and also enjoyed doing genealogy. Kathy was also a volunteer with Chesapeake Bay Retriever Rescue of Wisconsin for many years because of her tremendous love for animals, especially dogs. Kathy is survived by her husband George of New Lisbon, a son George Jr. (Terry Cain) Davis of Reedsburg, WI, by 2 brothers Alan (Merrie) Loboy of Portland, OR, and Leonard (Lydia) Loboy of Ponchatoula, LA, and a grandson Jaimin, further survived by many nieces and nephews, other relatives and friends. Kathy was preceded in death by her parents.